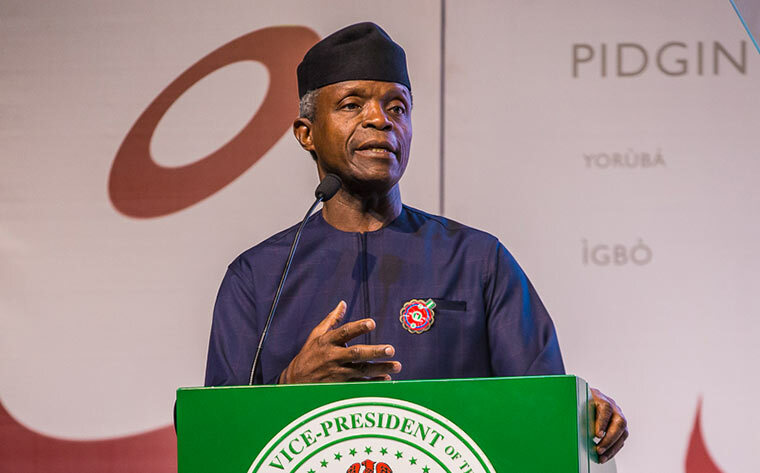 Vice-President Yemi Osinbajo has said the ruling All Progressives Congress would have performed better but for corruption, adding that graft was preventing Nigerians from enjoying full dividends of democracy. Osinbajo said if re-elected, the APC led-government would invest $500m in job creation. He spoke on Monday during a visit to the Oloja of Epe, Oba Kamorudeen Animashaun, as part of electioneering campaign. The vice-president urged Nigerians not to vote the opposition Peoples Democratic Party. He said, “At the next level government, we want to establish Entrepreneur Bank and Peoples Money Bank to complement the Bank of Industry. Already, we are in partnership with the Africa Development Bank to invest $500m in creating jobs. He said an instance was the Lagos-Ibadan Expressway which was constructed in three years, but the PDP could not fix it in 16 years despite budgeting money for the road every year. Osinbajo commended Governor Akinwunmi Ambode for infrastructural renewal in the Epe area, assuring that serious attention would be given to roads connecting Lagos to Ogun State to facilitate ease of movement and boost commerce.